~I've been a yoga student since 2000 and a teacher since 2006. 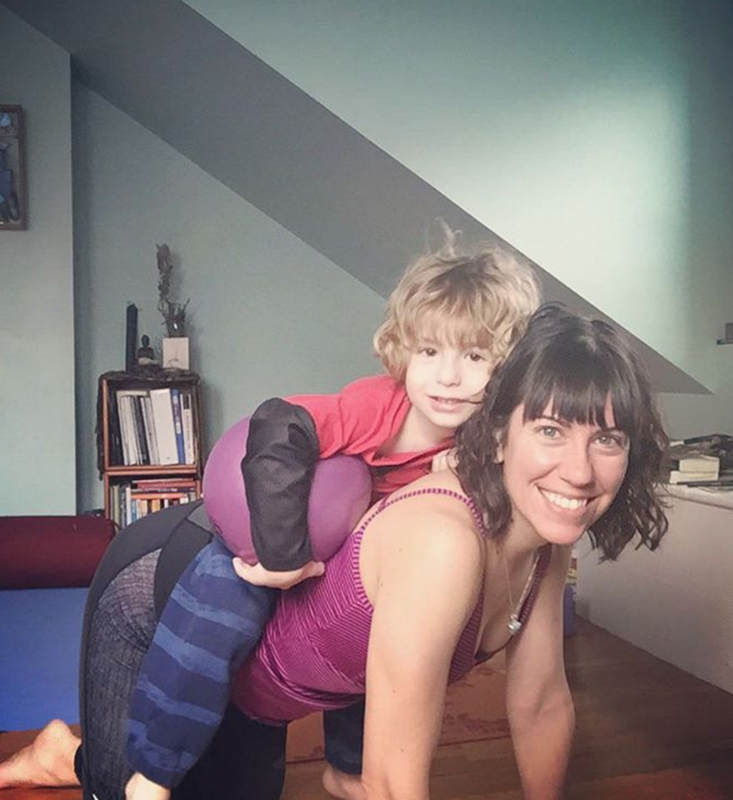 Currently my practice goes beyond the mat as I partner to raise two young children, and figure out how to explore the evolving landscape of movement in yoga studies while also holding space for all of the people and responsibilities of this human life. ~My teaching is an expression of my artistic spirit and creative energy. 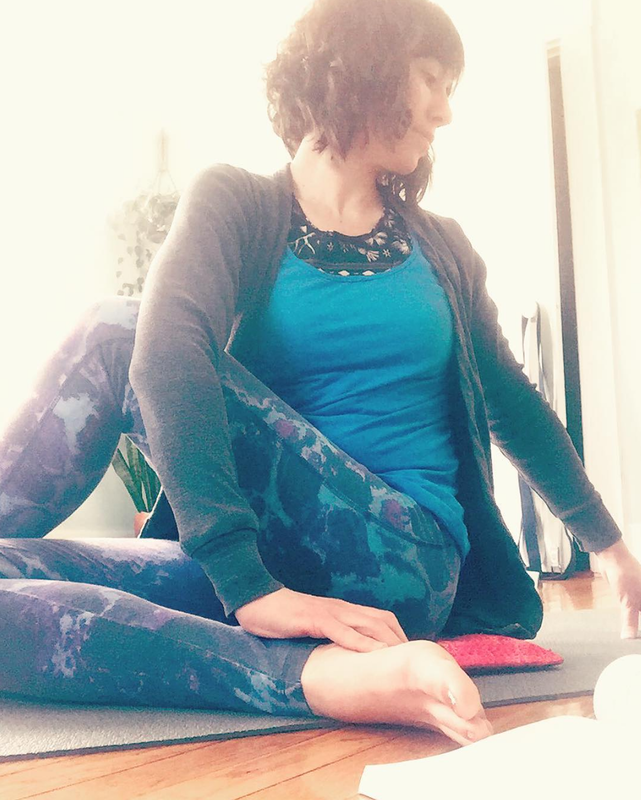 I guide my classes using intuition, energy awareness and the cycles of the moon within our current season, along with the variety of yoga styles/teachers I've learned from over all the years (hatha, vinyasa, yin, restorative, etc.). I call my style of yoga Lunar Love Flow and released my book by the same name in 2018! I teach and live in the Boston, MA area of New England. - a Living with the Lunar Cycles workshop to teach others about how they can personally track their life and their practices with intention and awareness to nature’s cycles. -Seasonal Shift Rituals at each Equinox and Solstice for group meditation and community connection to honor the shifts and be supported by others during it all. ~I contribute regularly to Moon Circles with #lunarloveflow New Moon or Full Moon Yoga Pose prompts for those moments of the current lunar cycle. You can follow along with those reminders on social media as well, where many of us love to have a complicated relationship with our consumerist culture of “likes.” That said, I do actually enjoy finding connection on places like Instagram and feel that it can be a valuable place to stay vulnerable and authentic with your art if you wish it to be. ~I'm passionate about gathering with women and teaching yoga specific to women's cycles in life. 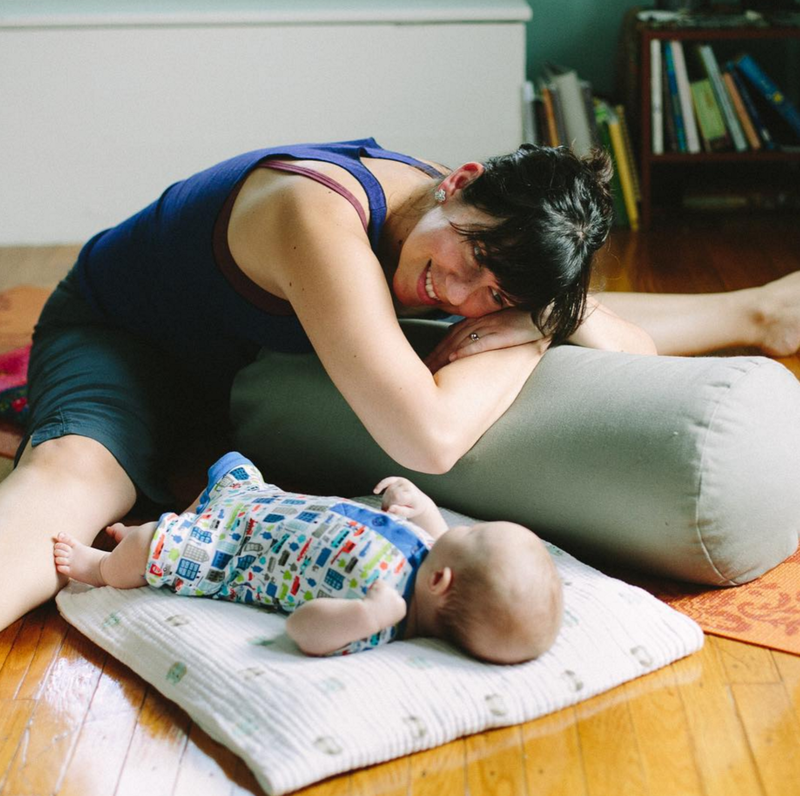 I teach regular Prenatal Yoga classes (for 9+ years now), as well as host Yoga for Mamas group classes geared towards supporting motherhood in my community. I truly find growth and expansion when gathering honestly with people of all ages, and feel that life transitions (such as menstruation, pregnancy & motherhood, and menopause) have so much to teach us as beings of the Earth. ~Leading mindful travel retreats (for all bodies) that make space for introspection, growth and a shift in perspective is one of my favorite things to do. It always amazes me what is possible when we step out of our daily comfort zones. Most of my retreats tend to take place on islands (such as Iceland, Nantucket, the Azores, and Sicily). I feel a deep reverence and connection to these places that bring all of the elements into a clearer view. I love to share their beauty and power with others. ~I'm a nature lover + climate change supporter and have the very good fortune to have a husband who is a horticulturalist/gardener. Grounding myself near trees, gardens, the sea, mountains, deserts…it's all so important to finding gratitude and presence in order to keep making shifts to respect these lives that we live on this planet. ~After many years of teaching, I'm passionate about sharing the practice in a way that honors what I’ve learned from my own experience, plus what is current in our world. Sharing through vulnerability and love is part of my process. I continue to evolve my understanding of the moving body and to refine the subtle art of energy work. My most recent training was with Elena Brower (Art of Attention 100 hour advanced training for teachers in 2013-2014). 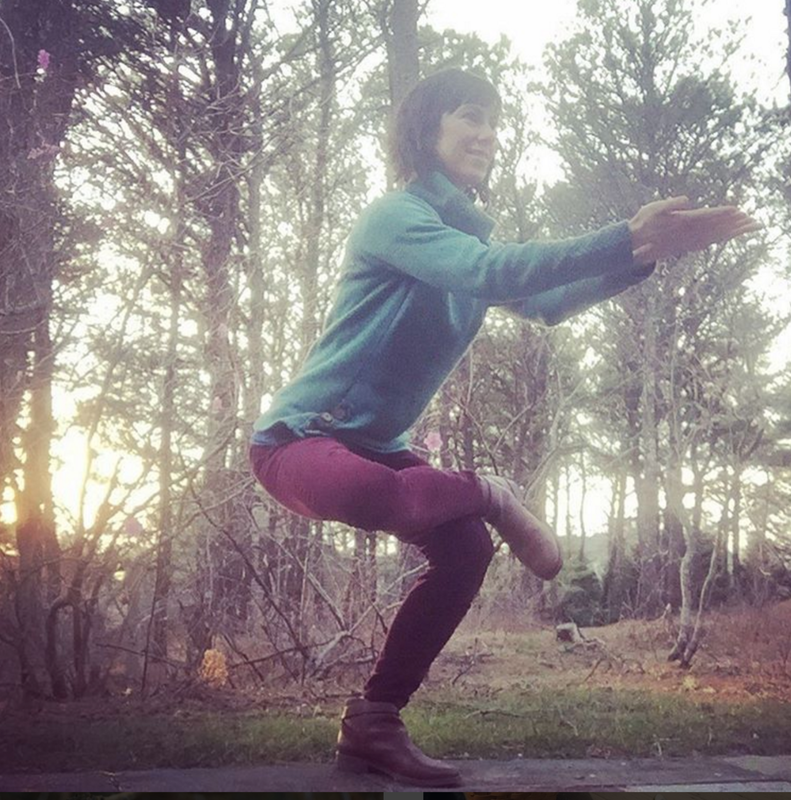 I am also energized and influenced by the biomechanist, Katy Bowman’s nutritious movement education and people like Kathryn Bruni-Young…combining strength training with yoga and remaining curious about why we move the ways we do. Thanks for wanting to know more about me and this practice that I share with respect and love. Thank you! You've successfully signed up for my newsletter. Expect to hear from me twice a season. Copyright © Jenn Pici Falk. All Rights Reserved. All Images Copyright © Liza Voll (my dear friend & brilliant photographer).